Margaret Leslie Davis presents the story of how a major American region re-centered itself on the arts over the course of five decades. She traces the setbacks and triumphs as what was to become the Music Center developed world-class programs in theater, music, and dance, a saga ranging from the Civil Light Opera performance in the 1960s to the internationally acclaimed Ring cycle launched in 2010. 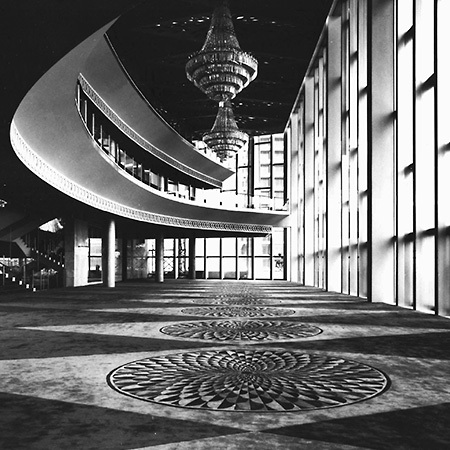 Interior of the splendid Pavilion, October 28, 1964, photographed by architect Welton Becket. Guests entering the foyer glimpsed the amber onyx walls and curved balconies. Women in long gowns glided up the dramatically cantilevered marble staircase that crossed a pool filled with azaleas. The glow of jewels and formal gowns was amplified by soaring marble-framed mirrors and by massive chandeliers, each seventeen feet high and weighing over a ton. The story of the Walt Disney Concert Hall unfolds over a period of sixteen tumultuous years, but equal attention is devoted to the programs of the Taper and Ahmanson theaters. 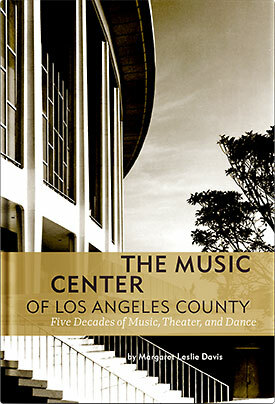 Most of all, this is a story of the personalities who shaped the Music Center, including vivid portraits of Zubin Mehta, Roger Wagner, Gordon Davidson, Esa-Pekka Salonen, Plaicdo Domingo, and James Conlon, as well as many of the civic and philanthropic leaders who beginning with Dorothy Buffum Chandler, made their achievements possible. 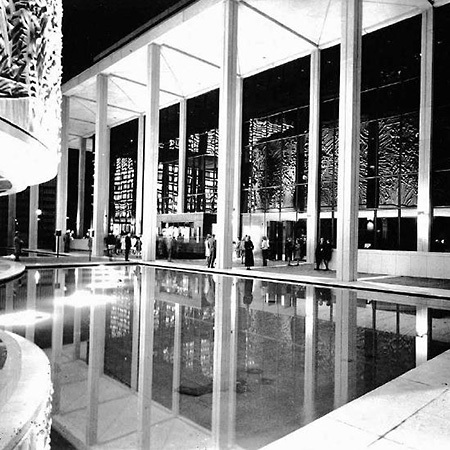 A view of the Ahmanson Theater and the reflecting pool that originally surrounded the Mark Taper Forum, about 1969. Dorothy Chandler began the remarkable public-private partnership that created the Music Center. 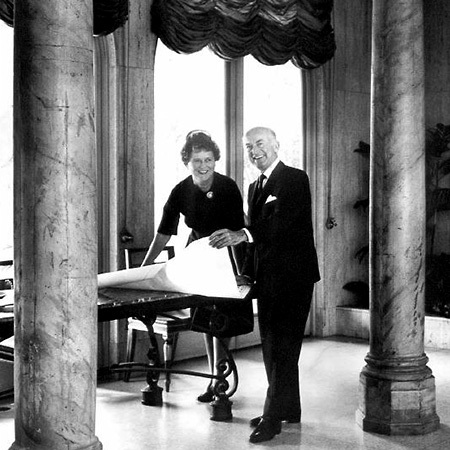 Pictured here with Mark Taper, one of the important early supporters of the Music Center, in 1962. Available exclusively at the gift shops of the Walt Disney Concert Hall and the Huntington Library, Art Collections, and Botanical Gardens. 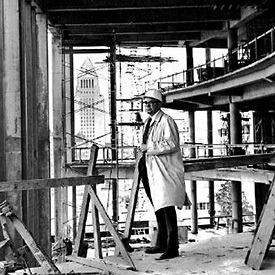 John Knight, project architect, photographed on the first terrace of the Grand Hall during construction of the Pavilion, 1963. 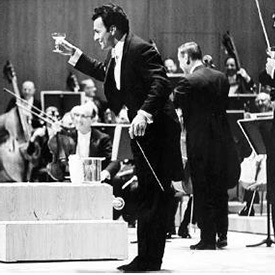 Zubin Mehta and the Los Angeles Philharmonic toast Dorothy Chandler on the evening of the opening of the Dorothy Chandler Pavilion.